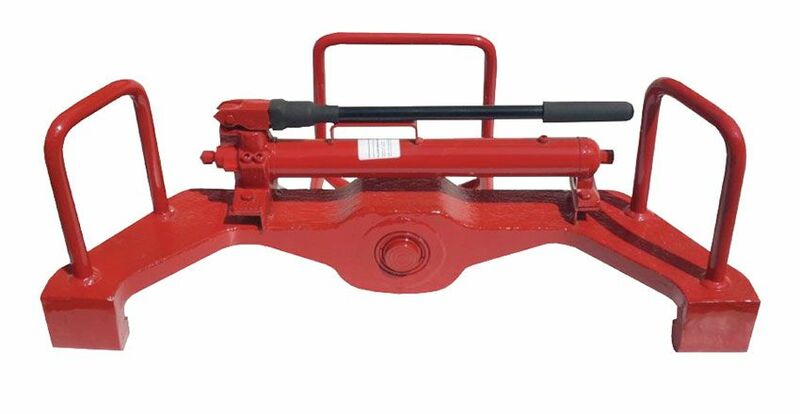 The main frame is of extremely robust design, cast and forged from ASTM-E487/78/110 steel and fitted with specially designed handles for ease of transportation. The back frame section provides for added portability as well as aligning the unit for correct operation. The unit is powered by a Simplex 25 ton (250kN) hydraulic cylinder which is activated by the Simplex P42 high-pressure Hand Pump. 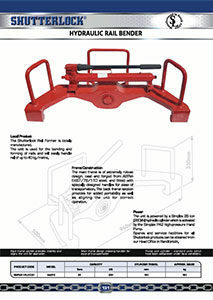 Spares and service facilities for all Shutterlock products can be obtained from our Head Office in Randfontein.